MICHAEL A. VENTRELLA: Usually I tend to interview writers of fantasy and science fiction, since that’s what I write, but we’re going to take a bit of a turn this week. I’ve been given the opportunity to interview May Pang, and no true Beatles fan would turn that opportunity down! 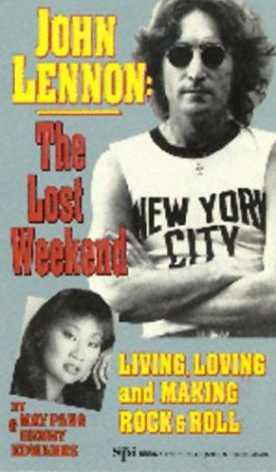 So began an 18-month relationship that had become known misleadingly as “Lennon’s Lost Weekend.” In 1983, in order to clean up many misconceptions about that time and to set the record straight, she wrote her memoir, LOVING JOHN. In 2008, she shared her private photographs from her collection in a book titled INSTAMATIC KARMA. Today, May is a full-time single mom, but her heart is still in rock n’ roll. She is currently a photographer, artist and Feng Shui jewelry and furniture designer. She lives in New York. 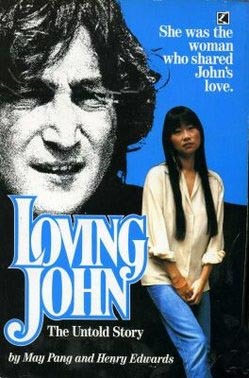 Ms. Pang, what was the reason for LOVING JOHN, your first book? 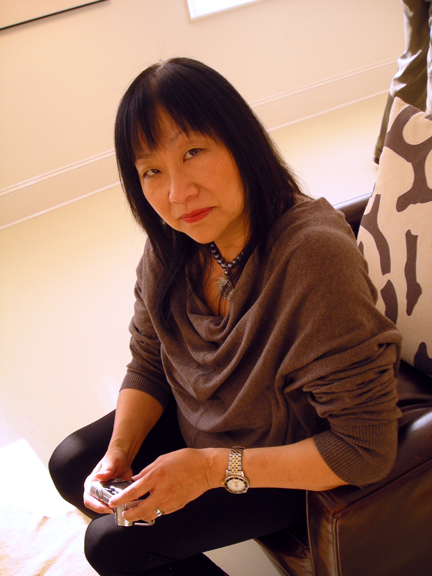 MAY PANG: The reason I agreed to write the book was simply to set the record straight. I understood the need for John to diplomatically refer to our time together as a “lost weekend” and to imply it wasn’t a good time for him. While John was still here, he’d tell me, “I’m going to have to say this, you understand…” and I did and it was fine. After his death, however, the myths of the depth of his misery not only continued, but grew. And people who were not even around us jumped onto the bandwagon and would say things that were so out there, it didn’t even make sense. That was hurtful. 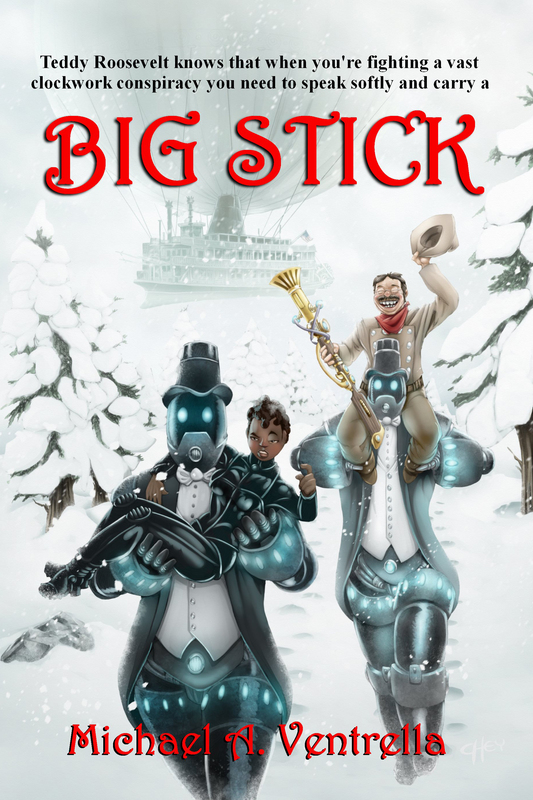 VENTRELLA: Did you approach a publisher or editor with the idea? In other words, what was the process that resulted in the book being printed? PANG: Actually, my co-author, Henry Edwards, approached me. He was a well known music journalist who had a history with John and Yoko and had had a couple of books out himself. He also knew me and he thought I had a fascinating story to tell. VENTRELLA: How did your collaboration with Henry Edwards work? PANG: We worked well together, but I think even he had a hard time believing some of the things that happened. Also, mine was the second book to come out after John was killed, so these stories were new to most people and, in retrospect, perhaps a little too soon after the tragedy. But, compared to the slew of books that have come out since, mine was tame and kind to everyone involved. VENTRELLA: This book was later edited down to concentrate less on the music and released as THE LOST WEEKEND. Whose decision was that? PANG: You’re referring to a the title of a reissue, which was the same book with an updated end chapter. The original book Henry and I submitted in 1983 was over 600 pages and talked about the creative aspects during our time together. The publisher, who had just had great success with the Jim Morrison bio NOBODY GETS OUT OF HERE ALIVE wanted to recreate that, which this wasn’t. So it was released with a lot of the important stuff edited out and the more salacious, for lack of a better word, in. Of course, without the balance, a lot of that was out of context. VENTRELLA: The book is now out of print. Do you still have the rights? Could you release it by self-publishing it? PANG: I have the co-rights, with Henry, but I have no interest in re-releasing it. It would have to appear in the same edited form, which is unacceptable now. VENTRELLA: Your most recent book is INSTAMATIC KARMA, a collection of photographs from the so-called “Lost Weekend.” It’s received excellent reviews. How did you decide to write that? PANG: Again, it was a friend who suggested I do this one. He was tired of hearing about the “miserable time” and had seen the photos from way back when they were taken. He said, “Rather than try to explain it wasn’t so bad, why don’t you just show them?” and so that was how that came about. It does have some text, but just to put the photographs into context. In fact, the only criticism of INSTAMATIC KARMA was that people wanted more stories. VENTRELLA: You have been promoting these books at Beatles conventions and shows, I understand. There is a Beatles cruise coming up shortly where you are one of the honored guests. How did this come about? Are you looking forward to it? PANG: I actually didn’t do the Beatle conventions for INSTAMATIC KARMA, but I did do signings at bookstores and galleries and the cruise was something that sounded like fun when approached by the promoter and I would be spending time with old friends and fans. VENTRELLA: Do you enjoy these events? PANG: I do enjoy them, because the people who come loved John and want to know more about what happened during his most prolific period as a solo artist. VENTRELLA: John seemed to have perhaps his most creative period musically during the time he spent with you. In that 18 month period, he wrote and released the albums “Mind Games”, “Walls and Bridges” and “Rock and Roll.” He played on Elton John’s #1 hit “Lucy in the Sky With Diamonds” and helped write and play on David Bowie’s “Fame.” He produced songs for Ringo and an album for Nilsson. (I remember this time greatly! It seemed like every few weeks there was something new from him. It was a great time to be a fan!) What do you think brought about this period of creativity? PANG: Yes, it was all that certainly, but more importantly, there was a positive change in him as a person. He and (his first son) Julian resumed a relationship. John had also mended fences with the other Beatles and was particularly outgoing during this time. Some of the radio interviews he did, displaying that old wit and upbeat humor, are now legendary. VENTRELLA: Do you appear anywhere else on the albums other than the “John” line in “Number Nine Dream”? PANG: I’m also singing the backup “Ah, bowakawas…” on that song. And I’m on the end chorus of Ringo’s “Goodnight Vienna,” John’s “Do You Wanna Dance” (Rock’n’Roll) — and also in the chorus of “Happy Xmas (War Is Over)” from way back in 1971, when John and Yoko first came to New York. VENTRELLA: You’re also the only other woman John wrote a song about in his solo career (“Sweet Bird of Paradox”). What does that song say to you? What do you think John was trying to say? PANG: What can I say? I was floored when he played it for me. It was written early on in our relationship. The song was called “Surprise, Surprise” because our relationship and his feelings for me caught him off guard. VENTRELLA: In some ways, just hanging out with all these great rock stars must have been a dream come true for you. Of the people you’ve met, who impressed you the most? Did anyone contradict their public persona? PANG: I’ve met a lot of wonderful people. And almost everyone of them contradicts their ‘public’ persona to a degree, in that they’re all human; shy, vulnerable, somewhat reserved in real life. People always expect their heroes to be “on.” I know fans were always expecting the John from “A Hard Day’s Night” when they’d meet him and be surprised, for the most part pleasantly, when he’d be just warm, unassuming, what they’d call ‘down-to-earth’. VENTRELLA: I note that you worked for Island records for a while in the mid 70s. Did you get to meet Sparks? (They’re one of my favorite bands, especially from that era.) Any interesting stories about them? PANG: I didn’t meet them back then, but I did after I married Tony Visconti, who produced them. They were fun to hang out with … I remember Ron Mael driving around L.A. in his Volkswagen’s Thing. Talented brothers. VENTRELLA: How did the David Bowie video (“Fashion“) come about? PANG: David and I were old friends, he just asked me to do it. 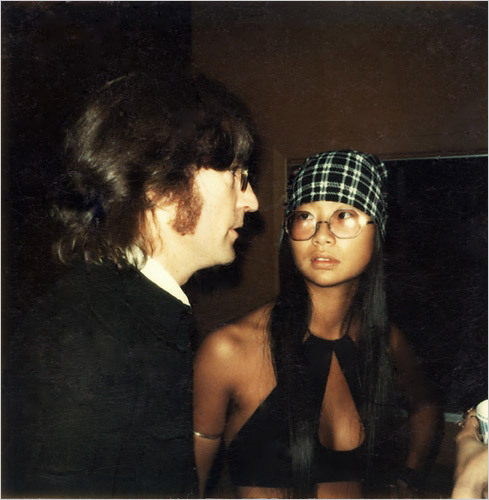 VENTRELLA: The public image Yoko created is that John was “lost and misguided” during those 18 months, and then she forgave him and he came back and baked bread for 5 years (before releasing “Double Fantasy” – the album that had about as much rebellion and rock and roll as a Carpenters album). Is any of that image true? PANG: Well, we can’t lay all the blame on Yoko; John helped with that myth. VENTRELLA: A lot of misconceptions exist about that period of John’s life. Which ones bother you the most? PANG: Three bother me equally. That John was so miserable and that it was 18 months of drunken chaos. Yes, a couple of high-profile nutty things happened. But, as you pointed out, there was some great music and great artistic productivity. And, as history shows, it was the last time he spent any quality time with his first son and his musical brothers. And finally the word “mistress” and its connotation. John and Yoko were officially separated and we were living openly at our own apartment across town where Paul & Linda, Bowie, Jagger, etc. came by to visit us and most importantly where Julian stayed. It was all above board. May is a lovely lady. I hope she writes another book. Very well done and presented – a thoughtful interview! I have met May and she is a beautiful and insightful woman. So many MALE writers have put out utter lies out there in books etc about her and I am glad she is spreading the truth about their time together. I have been a John Lennon fan since the Beatles became known outside of Britain. I have very much enjoyed both of May’s books and amazing photos. She seems to be a very special lady and has every right to tell her story, which is fascinating. Thank you for an interesting interview. Regards from Rio de Janeiro. I find your article interesting because I had no idea about the infamous ‘lost weekend’ until a few years back when I listened to a YouTube clip of Lennon singing ‘Be My Baby’ and was completely mesmerized by it. When I read further about how the song came about, found out it was done during his ‘lost weekend’. That’s the first I’d heard of May Pang. To be honest, who knows what happened back then. Does it matter? What’s left is the music and that speaks for itself. I appreciate hearing the other side of the story, to add to what little I’ve heard about it through the years. I like your blog. I’ll be back to read more. May is a great lady of truth. The 18 months she and John were together were I believe the most creative of his career. This has to be a result of the unique relationship they had and I thank May for that. May’s latest book Instamatic Karma is a wonderful record of a very happy time. 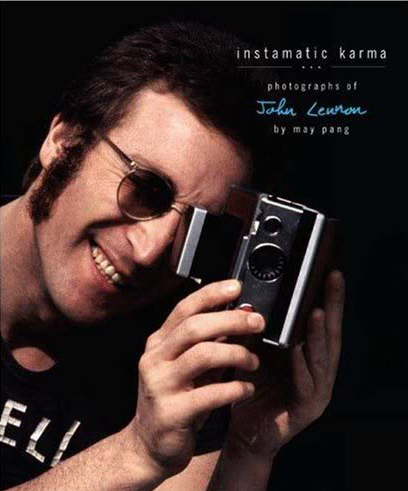 Upon viewing the photos in “Instamatic Karma”, one cannot help but see the look of relaxation, relief and happiness on John’s face and in his smile. It’s as though he were released from the clutches of a control freak (wonder who that could be!) and was able to breathe, live and enjoy life with his son, Julian, and a companion he obviously loved and cared for(May)…hardly a LOST WEEKEND. Those in John’s inner circle know how much he cared for May. It’s not something SHE told them…they witnessed it first hand. Everyone else hears it in the grooves of “Walls and Bridges”,”Mind Games” and “Rock N Roll”. Kudos to May for handling these personal experiences with dignity and respect for John. She is truly a first-class lady and wonderful human being. BTW…If you’re too jaded or cheap to buy the book, open it up at a Barnes & Noble and witness the face of a “happy” John Lennon. I had the pleasure of getting to know May & John while engaged to Nigel Olsson and traveling with the Elton John Band. We spent great times together at the Caribou Ranch while they recorded “Lucy In the Sky”. I was also present at the Madison Square Gdns concert when John appeared on stage with Elton and Yoko showed up backstage. That was the beginning of the end for May. To me Yoko seemed to have a marriage of convenience. May & John were a great couple. I was never around him and Yoko so maybe it is unfair of me to judge. I’ve known May personally for over 25 years. I met her while co-producing Beatle Fests in the 80’s and was immediately struck by her warmth, charm and compassion. I agree that she has been maligned in the media and I can personally attest to the fact that her relationship with John was one of substance and love. She cares for her friends and is always there when needed, with sage wisdom and sound advice. One of the highlights of my life is that we are still in touch. Great interview with the lovely May Pang. She visits Liverpool a lot and supports many Beatles related events here. Nice how May seems to care so much about Julian. Too bad Yoko couldn’t be bothered. It’s a shame that they’d be forced to issue the “revised” edition, when her original memoir was so very eye-opening and insightful. I wish that book were more available to Beatles fans, May was such an important part of John’s life, it’s sad that most people will only ever know Yoko’s perspective. I remember this period really well. I was a big time Beatlemaniac and clipped newspapers about John’s adventures in L.A with May. I bought “Loving John” when it first came out and still prize it. I wish he’d stayed with May and moved to L.A. If he had, we might still have him. I have Read May’s Book “Loving John” – the original First Edition Version – twice and I appreciate it for its openness. May Portrays John As the human being that He was with all the human faults and His Charisma and greatness at the Same Time. When She describes how John returned to Yoko and how brainwashed He appeared to May I Started to Wonder how on Earth Yoko regained her influence on him and how She got him to do something He obviously Never intended….. I can still recall that December morning in grey Milan, 35 years ago as my brother and I were awakened by the tragic announcement of John’s death. Few weeks ago, although I am now 54, I got exactly the same shock as I learned of David Bowie’s departure. Yoko Ono is a manipulator, she was always like this. She managed to have the media on her own side because she won the war with May Pang. Hence just Ono’s version is politically correct. I am sure Paul would know the truth but business suggested him to keep a low profile about Yoko I suppose. Ono deliberately started John-May relationship by using Lennon as her own toy and money machine. I wish this woman just half of the sorrow she caused around the world. It’s very telling how both Yoko and May are perceived and related to, by those that loved John before he coupled with Yoko. Yoko strove to alienate John from everyone he knew and loved before her. In Yoko’s narrative, she was a victim of racism/sexism from John’s family, friends and fans, because they rejected her and John’s deep love. May Pang ended up being a close friend to Cynthia and Julian, inviting them in, encouraging and sharing their contact and presence around John as a wife he once loved, who was the mother of his son he needed in his life as much as possible. They were never a treated as a threat to her and John’s love. May became good friends with Paul and Linda McCartney as well, providing Paul with cherished stories of how much John lovingly thought of and talked about the times they had growing up together, and as songwriting partners, of how much John admired and respected him and his music, and how John had wished to work with Paul again. May was even included among close family and friends at Linda’s NYC memorial service. Yoko wasn’t. She spitefully told a reporter who called for a quote of how “hurt” she was for not being invited to the memorial, but that she was honoring Linda’s memory by donating a large sum of money in Linda’s name, to a battered women’s shelter to fight against domestic violence! That right there shows how right Paul and his family were to exclude her from the memorial celebration of Linda’s life. The Lost Weekend ended with John being tricked back to Yoko with her claims of discovering a smoking cure through hypnosis she lied worked for her. John was never really the same after that, but he went back to badmouthing his contemporaries and first family in interviews. How he had outgrown a “boring and uninspiring” Cynthia, Julian was an “unexpected, somewhat unwanted burden” that Cynthia used to keep from him, Paul and Linda were again “annoying visitors constantly showing up uninvited”, while John was busy all day baking bread and taking care of the baby, (never mind the full time cook and round the clock nanny). But Yoko again is portrayed as this ever always, amazing wonderful person of great wisdom,patience,and guidance, and Sean his long awaited and adored “planned” child.